The Law Offices of Steven J. Eichberg is a law firm that specializes in providing legal advice to businesses and commercial enterprises, both in the Los Angeles area and throughout California. The main focus of our practice is providing services related to commercial property transactions, with a specialization in the review, revision, and negotiation of commercial leases for franchisees. However, we offer a wide variety of business and commercial law services beyond our specialization in commercial leases. Whether you are a new franchisee or the owner of an established business, you need experienced legal advice and representation. Steven J. Eichberg has been practicing law in California since 1978 and has represented hundreds of business clients in Los Angeles and throughout the state. When you work with the Law Offices of Steven J. Eichberg, you are hiring a highly experienced legal team who will work with you through any challenge that your business is facing. As experts in commercial law, we will guide you through the intricacies of business, commercial, and corporate rules and regulations. Our team has all the knowledge and experience necessary to address the unique problems of your organization, and we take pride in the reputation for excellence that we have earned in the Los Angeles area in matters of business law. We know that this reputation is on the line with every client and case that we work, so we strive to always perform our duties with the highest integrity and in an effective and efficient manner. We want to make sure you feel your choice to invest in the Law Offices of Steven J. Eichberg was a good one, and that you never feel we have betrayed the trust you’ve put in us. 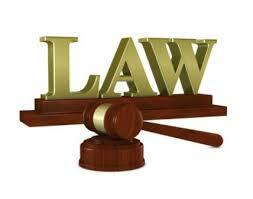 If you have issues related to business and commercial law, we would encourage you to give us a call today.